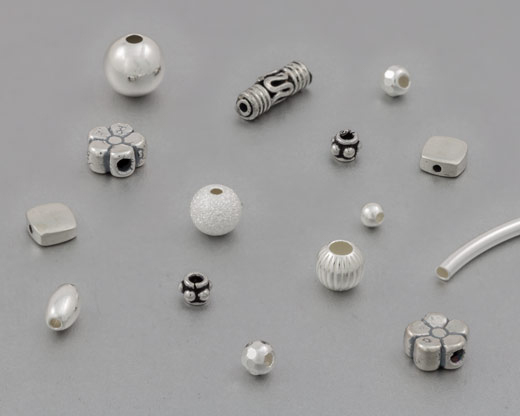 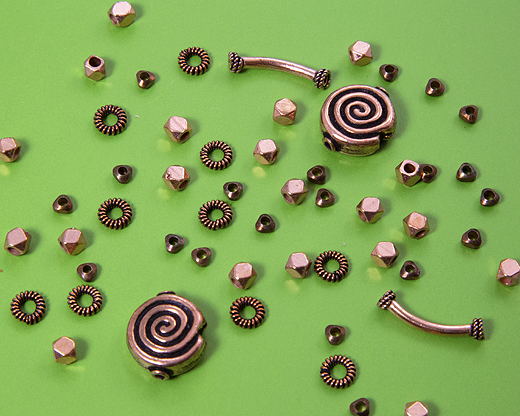 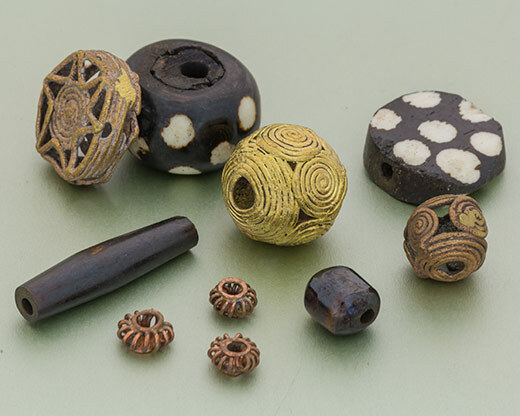 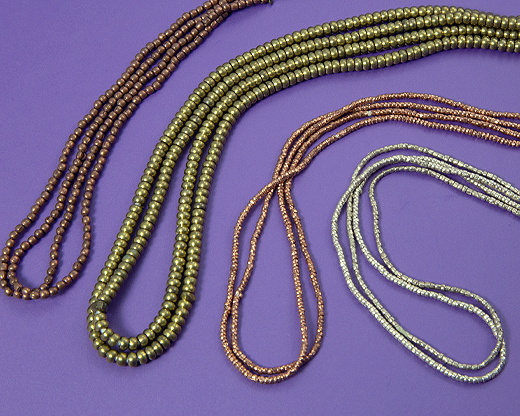 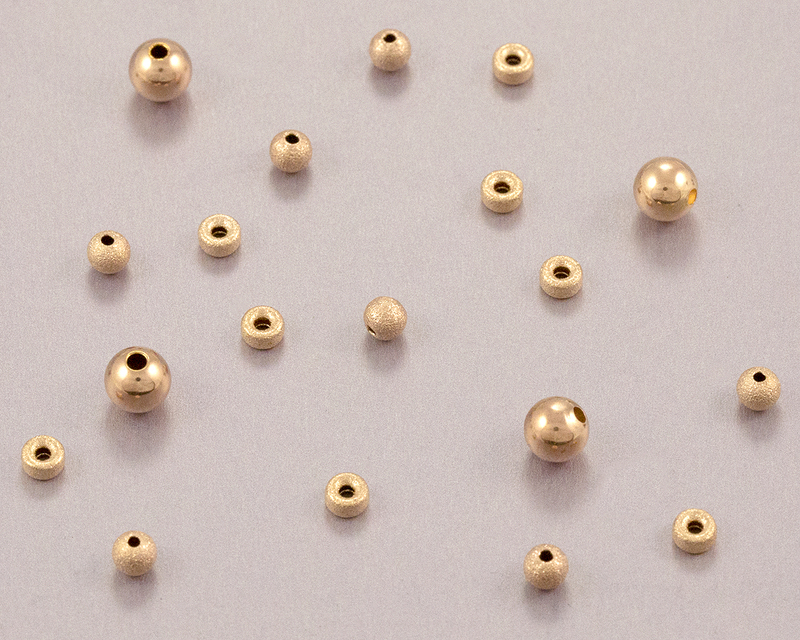 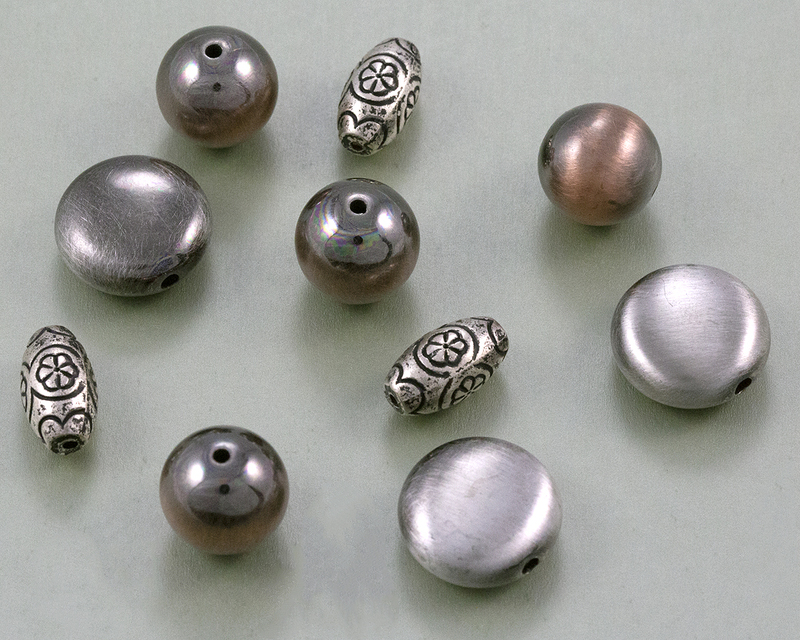 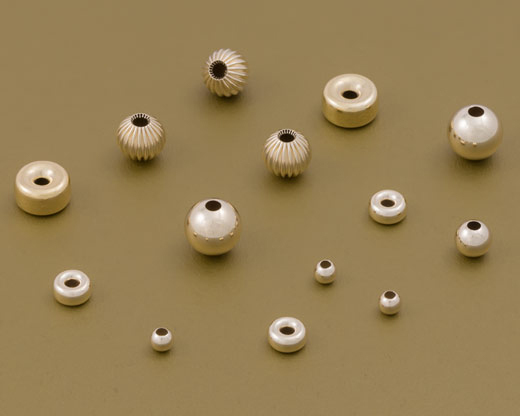 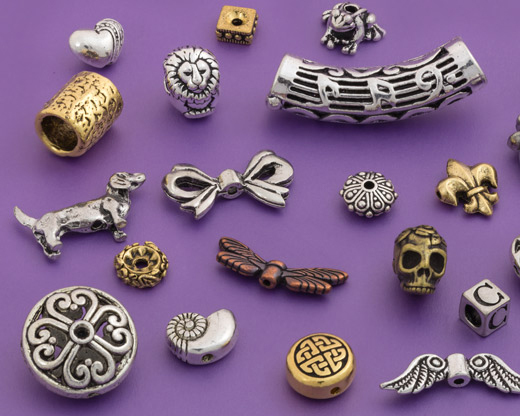 Our Metal Beads come in a wide variety of shapes, sizes, and Metal Finishes, including Gold, Silver, and Copper Plated, as well as Antique Finish. 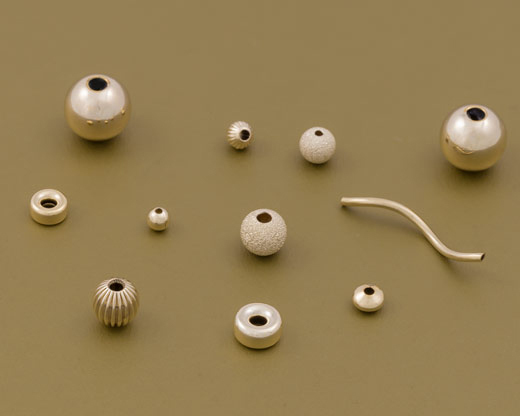 A Base Metal (usually Brass) is plated with a heavy layer of Gold or Silver color metal. 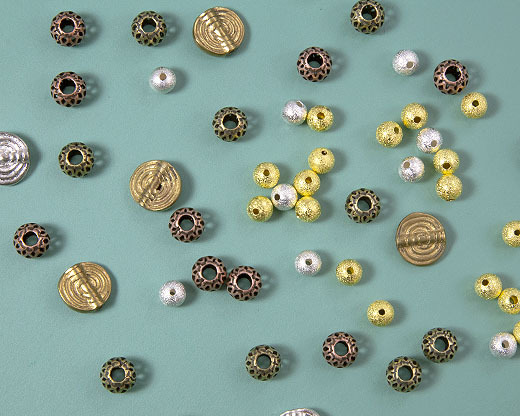 These platings are also available in many other colors, such as Antique, Nickel, Copper, White Brass, Gunmetal and more.